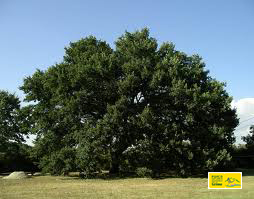 The predominant species are: chestnut (castaneta sativa) ruled by standard tree in the best areas and copse in the other ones, Black Pine (Pinus nigra), Alder (Alnus glutinosa), Naples Alder (Alnus cordata) that there is in wild fustaie that covered valleys, the cooler areas and riverbed, Beech (Fagus sylvatica) and Silver fir (Abies alba) a specie of a great naturalistic value that there is in a pure and mixed forests, widespread in the higher and cooler areas, Holm Oak (Quercius ilex), White Plopar (Populus alba), Aspen (Populus tremula), Yew (Taxus beccata), Silver Willow (Salix alba), Maple (Acer campestre) and Locust tree (Robinia pseudoacacia). The shrub-like vegetation is full of the most typical essences of Maquis shrub land: Broom, Heather, Strawberry tree, Myrtle, Phillyrea, Cistus, Mastic, Holly etc. . The natural stand of park’s ground is also interesting for the ecological and selvicultural peculiarities of Silver fir. From the genetic point of view this conifer is, in the Serre, an uniform specie; this makes it more stable and resistant to environmental harsh respect to the other ecotypes deeply-rooted in Europe, in fact Silver fir is threatened by a series of conditions that have risen fears for the future of the species (root rot, great death roll of fir). The causes due to climatic aspects, genetic causes and pollution. 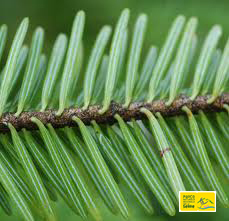 Silver fir of Serre is included in the national book of seed forests thanks to its peculiarity genetic qualities. The seed of these forests are harvested in September and October in order to use them in the reforestation in different parts of Europe.